As you're probably aware, ScubaSafe is an affiliated member of the biggest training agency in the world for Scuba Technician's. The Association of Scuba Service Engineers & Technicians is endorsed as the preferred training agency by all of the world's leading scuba equipment manufacturer's, to work on, test and service their products. We at ScubaSafe have attended the prescribed scuba technician's course and have been certified to work to the highest standards on most scuba gear. Membership also provides us with unprecedented access to a comprehensive database of specifications and technical data on just about every possible regulator produced, historically and up to date. Every now and then we get presented with some atrocious equipment which requires our knowledge and expertise to repair some serious problems. If you haven’t the skills and experience to effect a safe repair/service or test, leave well alone, as you may not surface from your next dive! This regulator yoke retaining assembly has been seriously damaged by use of wrong tools and through inexperience. Not only is someone risking the integrity of their critical safety equipment by doing this, they're also spoiling their gear and drastically reducing its lifespan and value. Sadly, we see stuff like this all too frequently and luckily for our customers, we have the expertise to deal with it and breath new life into the equipment we service. At the end of a day’s diving make sure the dust cover is dried and fitted. Wash the regulator set in fresh cold or warm water ensuring that water cannot get into the low and high pressure hoses and systems. There are several sanitizers available for cleaning regulator mouthpieces if required. Remove as much water as possible with a towel, and air dry on a line. Store in a cool dry environment with the hoses as straight as possible. Regulators should be serviced annually to manufacturer specifications. This article covers the basic steps involved in servicing a Regulator. It is written in the interest of promoting knowledge and understanding of what’s involved in proper equipment maintenance, for divers interested in such things. It is not intended to be an instruction manual, guide or any form of replacement to having your Regulators serviced annually by a suitably trained and certified SCUBA Technician. By post, dropped off in person, or collected from local dive-shops... in come those regs! When a Reg-set arrives for a service, it's generally one we've seen before & are familiar with. Still if its less common, or its been a while since we had one in, or its a new one, we check the world's biggest and best online technical database for schematics, procedures, updates etc. Intermediate Pressure (I.P.) & 2nd stage cracking resistance are checked. 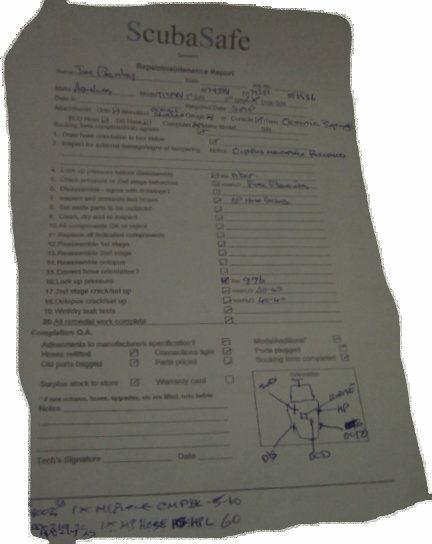 All checked data is recorded on a ScubaSafe worksheet. I.e: Regulator condition, the layout of hoses and ports are drawn out to ensure re-assembly is exactly the way you gave it to us. Serial Numbers & any visible defects are noted down, alongside initial observations like the Intermediate Pressure and cracking pressure of the 2nd stage (negative pressure required to draw air from it). 1st stage being dismantled using special holding bar. ScubaSafe tools are made of 'regulator friendly' materials, such as aluminium, brass and other materials which won't scratch or damage the regulator itself. This aluminium mounting bar, for example, protects against cross threading the LP or HP ports, which if done, would result in a scrapped reg. DID YOU KNOW? Regulator 1st stages are made of brass, plated in chrome or similar corrssion resistant materials. 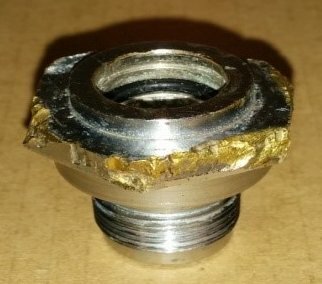 Brass is a soft metal, easily damaged by the use of tools like spanners and wrenches designed for other types of mechanics. DON'T be tempted. One false turn could damage your regs like the example at the top of this page, it's easily done. Step 6: Dismantled and ready to be cleaned. All those bits are placed in trays to keep them together safe, ready for the next step. Regulator laid out in basket for ultrasonic cleaning in a Biox solution. We place all the components into special tubs and baskets, ready to immerse them in a nice hot ultrasonic bath! Cleaned regulator components air dried and laid out for assembly with new service kits. No we don't reuse the old parts & nor should any reputable scuba technician! Ask for the old parts when your regulator is returned to you. All hoses cleaned, visually inspected and pressurised to max working pressure ensuring there are no leaks or weaknesses. 2nd Stage cracking resistance checked and adjusted to manufacturers specification. Having re-assembled the regulator, using silicon assembly grease in moderation. The Intermediate Pressure is set to the manufacturers specification. All serviced regulators are tested & adjusted as necessary in our on-site pool. Once satisfactory, they're dried & hoses tightened. The ScbaSafe worksheet is completed. The regulator is then returned to the customer with a 12 month warranty. These should be washed in fresh cold or warm water after use, and air dried using an appropriate sized hanger. 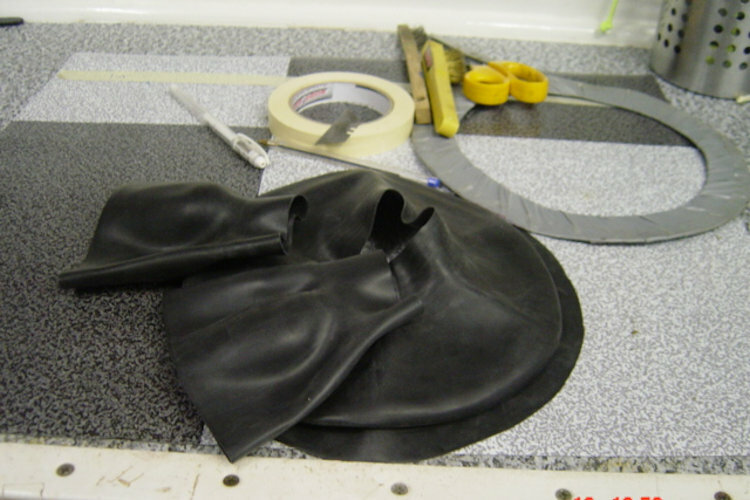 Zips should be lubricated with the appropriate lubricant, and seals examined and dusted with talc. Any tears or abrasions should be attended to. 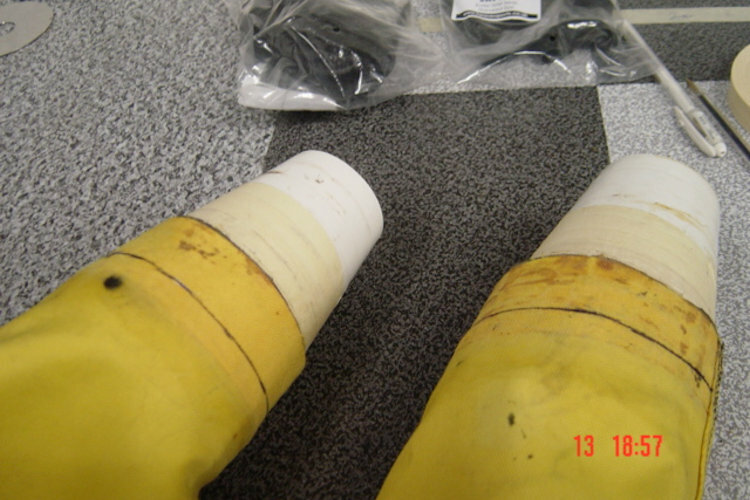 Annually, dry suit valves should be serviced, and the suit pressurised to check for leaks and deterioration. BCD's should be washed in fresh cold or warm water after use. On a frequent basis, the bladder should be treated with a cleaner/detergent that is effective against bacteria, viruses and fungi. The bladder should then be partially inflated and dried. An inspection and checks for correct operation should also be carried out. BCD's should be serviced and checked on an annual basis, renewing seals and “O” rings. 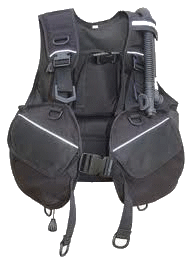 This article below covers the basic steps involved in servicing a BCD. It is written in the interest of promoting knowledge and understanding of what’s involved in proper equipment maintenance, for divers interested in such things. 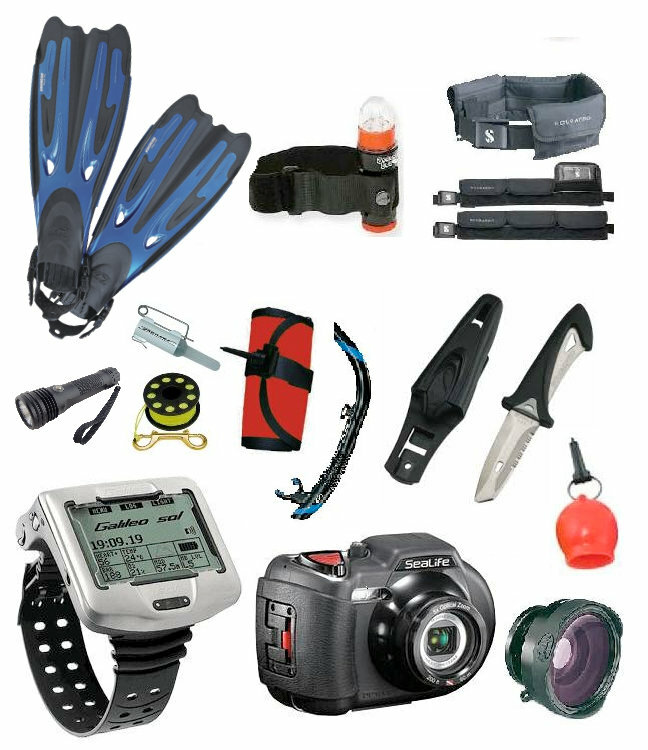 It is not intended to be an instruction manual, guide or any form of replacement to having your BCD serviced annually by a suitably trained and certified SCUBA Technician. are checked for wear and tear, no broken elements, cracks, fatigued plastic etc. Ensure they function correctly . Note if replacement recommended. The inflation and dumping controls should be checked for correct function. They should be serviced, which involves dismantling, cleaning and replacing “O” rings as necessary. Step 7: Inspecting Hip Dump Valve Components. Check for easy, smooth operation. On some makes, like Cressi, where cords are routed through loops & conduits, make sure they operate without catching & check for wear & tear in difficult to see places by carefully removing, replace worn parts as necessary. Step 8: Hip Dump Valve Components - dis-assembly. Usually a simple clean and reversing the seal is sufficient on well-maintained BCDs. If in doubt, replace the seal. Step 9: Cleaning Hip Dump Valve Components. We clean using a simple toothbrush, warm water if necessary and if necessary, place really cruddy components in our ultrasonic cleaner. Step 10: Hip Dump Valve re-assembly. Reassemble using a liberal amount of assembly grease as necessary. This makes it easier to dismantle them next year! Removing the Shoulder Dump Valve with a special tool. Required tools vary my make & model. Extra care should be taken as using the wrong tools can damage relatively soft plastic components & even not so soft ones, as seen in the the example at the top of this page which is brass! 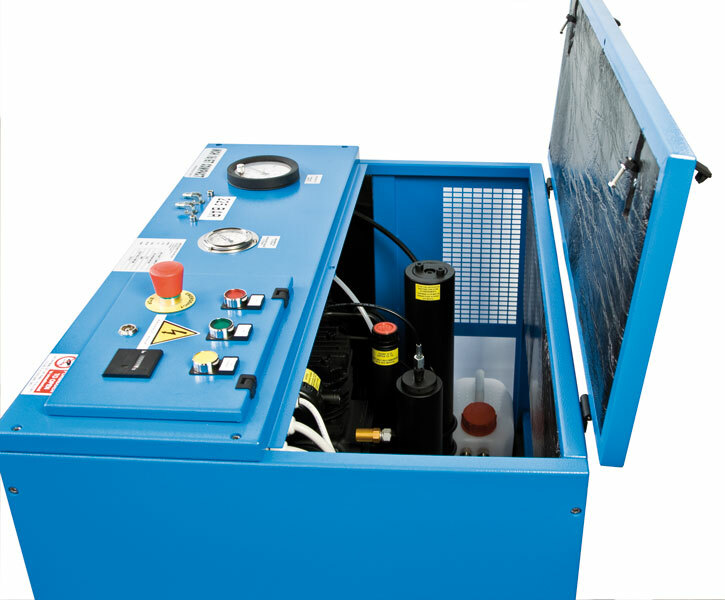 The Low Pressure Inflator has a bar across the aperture which connects to the pulldown deflator line inside the hose. Make sure you note exactly how it was attached as you remove it! Dismantled LPI Assembly (in this case including a 2nd air source, which is serviced as per a 2nd stage regulator procedure). Generally all the components are put into an ultrasonic cleaner filled with BIOX & given a thorough clean before careful reassembly. Finally, the BCD is assembled and test inflated making sure there are no air leaks and ensuring that all inflate and dump valves are operating correctly. 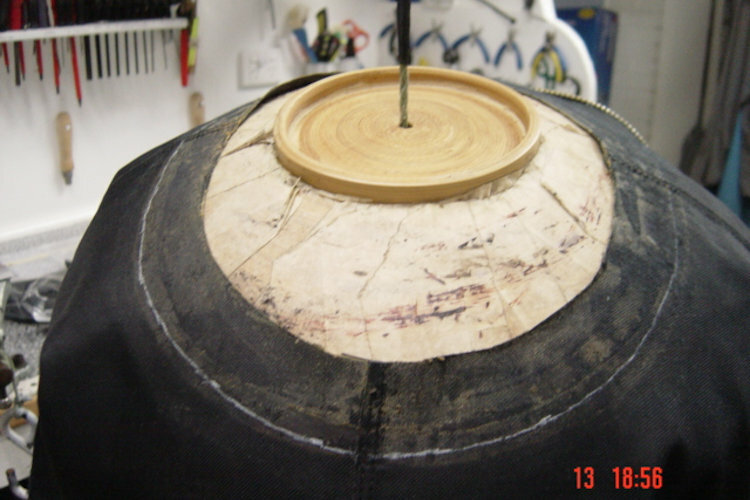 The jacket is left inflated for a period of time to make sure that it holds its pressure. At ScubaSafe we do a wet test in our pool to make sure everything works the way you want it to! Such as computers, knives, torches, cameras, SMB’s and reels, etc. Knives once dried should be cleaned and lightly coated in food grade silicon grease. As with most other equipment, a simple rinse in fresh water & drip drying is sufficient after diving. Avoid direct, strong sunlight or storing in hot locations for prolonged periods of time, as this significantly accelerates the perishing of silicones and rubber materials. One of the perrenial problems with new masks is getting them to stop fogging up. Here are a couple of great tips when you find yourself with a 'foggy mask'. The issue is usually caused because in the manufacturing process, a 'releasing agent' is used on the glass. It forms a thin layer and can be devilishly difficult to remove. The first and gentlest approach is to wash thoroughly with toothpaste and/or detergent in warm water. As a matter of fact, for general anti-fog prearation, many divers use a well know brand of baby shampoo which is very gentle and promises 'no more tears'. 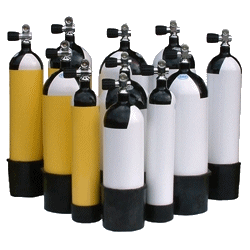 It's actually very popular with divers, cheap, available in small convenient bottles, in most remote dive locations. 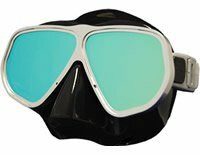 As good if not better than 'special' (and therefore expensive) diving anti-fog solutions. If this doesn't do the trick, try filling the mask overnight with a carbonated drink. I've used a cola brand on a mask which had particularly bad fogging and also had a colour-corrective tint, so too much rubbing or abbrasion might have damaged it. The result was frankly, miraculous! One night's soaking turned an almost unusable mask into the best one I've ever owned. Mask Fog Prevention Last Resort - Disclaimer: Please note, this is advice only and ScubaSafe accepts no liability, you do so at your own risk! If the fizzy drink technique doesn't do the trick, as a last resort (with great care), you can also try holding the mask (inside down) about 4" over a small flame, like a cigarette lighter. You should see the mask fog and then the fog clears from the centre out to the edges as the heat melts off the coating. Obviously this approach has some risk, so exercise extreme caution and use this method only as a last resort. Melted or cracked masks aren't much use! Rinse your tank in fresh water after a dive. 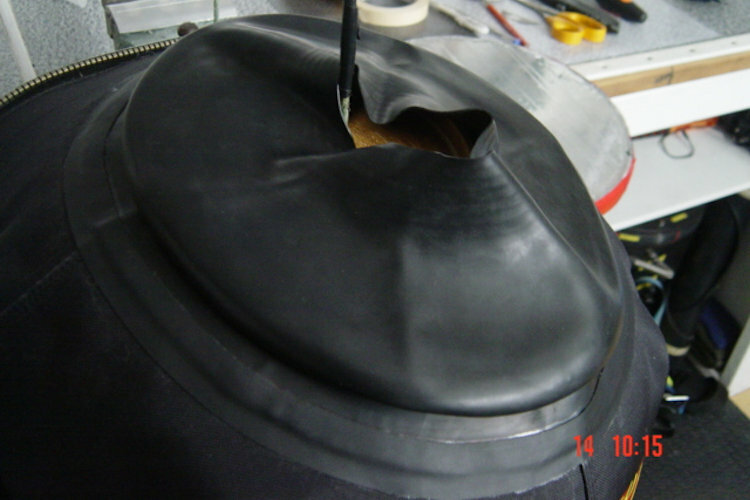 If your tank has a boot, make sure its drain holes aren't blocked to prevent build up of water and then, corrosion. When not in use, to avoid possible damage to the tank/valve and injury to people around it, you should lie it down in such a way, that it can't roll an doesn't cause an obstruction or hazard. Regularly check the valve O-ring seal. Look for missing, or damaged O-rings. Many divers, including me carry spares. All you need is to attach one to your regulator with a small cable tie, its easy. These little things are easily overlooked and you can't dive without one! Well maintained compressors will deliver very dry air as a result of their filtering process. Some divers complain of having a dry mouth and throat as a result. An unfortunate, but harmless symptom of this process. So while excess moisture in your air may be comfortable for you, it's certainly not good for your equipment, and there are regulated maximum permissible levels of moisture content. Good clean fresh air shouldn't have any of them, over and above the 'norm', which you will be familiar with, as the air is delivered through metal, plastic and rubber, it has that unique 'diving air' flavour!